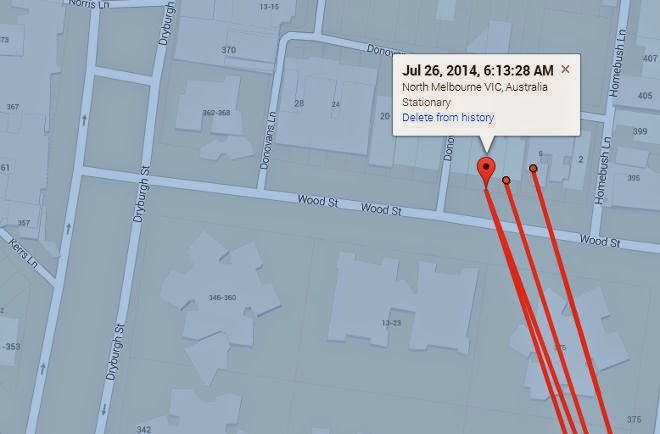 Google Is Tracking Your Every Move - Find Out How To Disable Tracking And Erase Past History! It has finally been exposed that Google has been tracking smart phone users everywhere they go, indicating it with a red dot on a map to mark their location much clearer for identification. It is similar to the scene in the movie Minority Report, where Tom Cruise is on the run from the law, but is unable to avoid detection because everywhere he goes there is a constant retina scan feeding his location back to a central database. Well, you can even track yourself to see whether what we are saying is true or not. Just log in with the same account you use on your smart phone. You will be able to see records of everywhere you have been from day one of that month. To check whether location history is enabled on your account, go to the Google Maps location history page and click the gear icon button to access history settings. Disable or enable the service there. Disabling location history however does not remove your past history. The default time period shows location history for the current day, so you may not see any plots on the map. Use the pulldown menu below the calendar on the left to show your history, up to 30 days. Please share this with your friends and family. Your every movement is nobody else’s business! Her Reason For Cutting This Soda Bottle In Half Is Pure Genius! NASA Curiosity Rover Reveals Beautiful Sundown On Mars!